Preheat oven or toaster oven to 350 degrees. 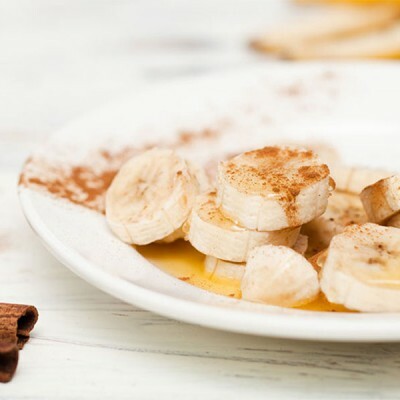 Cut banana into small pieces. Place on aluminum foil and sprinkle with cinnamon (honey also can be added). Bake for 10 minutes. This is quite sweet and will satisfy most sweet cravings. See more simple, heart-healthy recipes in our story Undeniable Truths of Heart Health.